This natural dietary supplement combines the arts of herbal therapy and herbal nutrients. It helps you in fat metabolism. Keep Fit Reduce Obesity can be used as part of an overall weight loss program and it is most effective when combined with a reduce calorie diet and moderate exercise. This natural dietary supplement combines the arts of herbal therapy and herbal nutrients. It helps you in fat metabolism. 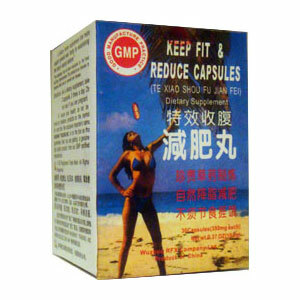 Keep Fit & Reduce Capsules can be used as part of an overall weight loss program and it is most effective when combined with a reduce calorie diet and moderate exercise. Reduce fat, stimulate blood circulation, balance metabolism, reducing unnecessary body weight.